As this is written our last gamer of 2014, Chris Pilkington, is finishing off his FIFA challenge which saw him play a game as every English league club in the game over his 24 hour marathon. The session saw, among other things, Scotland youngster Jordan Rhodes’ score a 40 yard scorcher against Burnley. For that alone we salute you! Meanwhile last year Scott Murdoch ran an actual marathon while playing games. 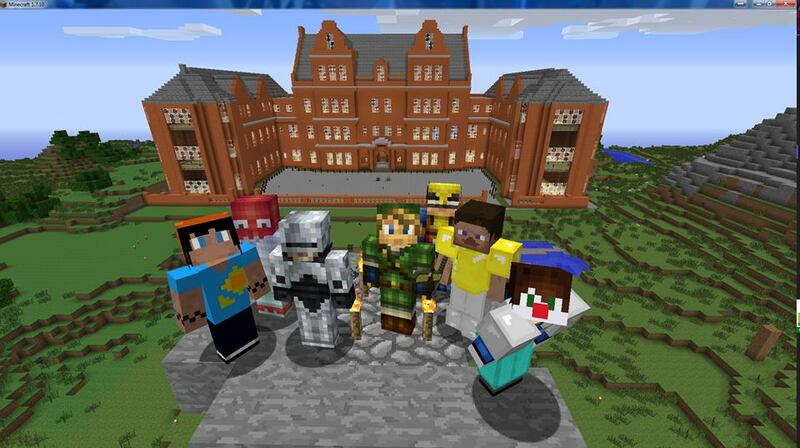 This year he assembled an almighty crew to recreate the Sick Kids Hospital itself in Minecraft. Marvel at their handiwork, then marvel again as I tell you it was done in SURVIVAL mode… Scott tells me they still had time to kill the dragon after completing the hospital. HURRAH! Alex Sievwright also did Minecraft creations, but some of those were a little ruder. His commentary as always was hilarious. Added to that, Rockstar heroes and SKSP veterans Steev and Mags played over the odds again, and our very own field operative Ross tackled his list of shame in a difficult solo run. Many, many more of you took part, loads for the first time, and we thank you. At the last count the total had shot over £8,000 which means Sick Kids Save Point has raised over £70,000 for the Sick Kids Friends Foundation. This money raised will make a real difference to the work of the Sick Kids Friends Foundation and is a true testament to all your hard work and dedication.